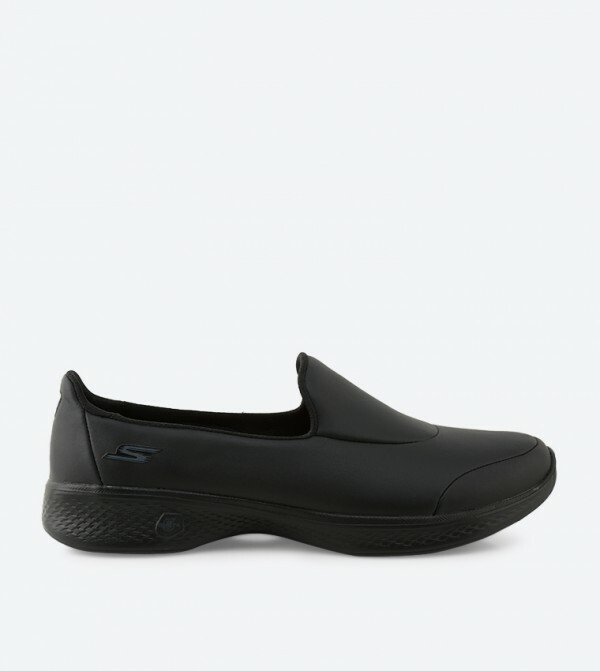 Created for urban women, these Go Walk 4 Upscale black color slip ons by Skechers exude a high fashion appeal. 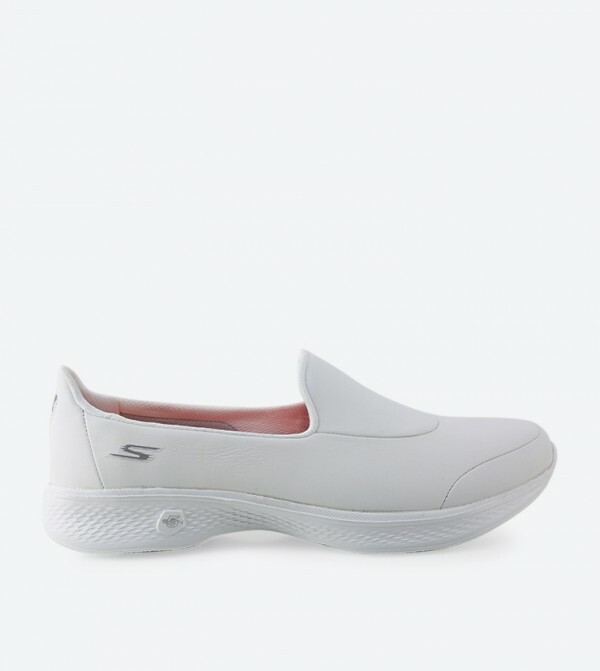 Featuring a leather upper for exceptional ventilation, these slip ons for women are light in weight. The rubber outsole further assures slip resistance and durability.